Correction: An earlier version of this post stated that train journey lengths were calculated as the crow flies. This is incorrect. They are only calculated this way for buses and ferries. Opal, Sydney’s electronic ticketing system, is set to rollout to the entire city by the end of the year. Most people may have heard about the 8 journeys and then the rest of the week is free bonus that it provides. Quite a few also know that Opal fares have been frozen since it was introduced in late 2012, while prices for paper tickets have gone up in line with inflation. But there are a number of benefits that aren’t very well known, some hidden gems. Here are 4 of Opal’s best kept secrets. Fare’s are calculated based on the distance travelled. With paper tickets that is based on the actual distance travelled, so a passenger who takes a non-direct journey from origin to destination (perhaps because they caught a bus that makes a number of detours) ends up clocking up a much longer distance. In the case of buses, it’s calculated based on sections, each 1.6km in length. A 1.8km journey that starts at the end of one section, travels through a second, and then ends at the start of the third section is considered to be 3 sections, and has a more expensive fare than a 2 section journey. With Opal, journey distances will be calculated as the shortest distance (direct line) from the origin to the destination. In many cases this will bump passengers down into a lower fare band. Quick journeys mean that the return trip is considered a continuation of the initial trip, as long as less than 60 minutes pass between tapping off and tapping on again at the destination. The fare for the overall journey is equal to the fare for the initial trip. The return trip to the origin is effectively free. Most Opal users would be aware of the 30% discount for train travel during off-peak hours (and all day on weekends). What they may not know is that as long as they tap on outside of peak-hour (7:00AM-9:00AM and 4:00PM-6:30PM) then they are still eligible, even if they then travel during the peak period. So someone arriving at a train station at 6:50AM each morning will receive a 30% discount, regardless of when their train arrives or when they reach their destination. The same applies in the evening. Note: Morning peak hour for NSW TrainLink services outside of metropolitan Sydney is 6:00AM-8:00AM. Any tap on can be reversed by tapping off immediately from any readers at that station/wharf/bus/tram. This is designed to allow passengers who tapped on by mistake to undo their action. However, it also means that it allows passengers to pass through the gated parts of the stations and out the other end, tapping off to reverse the initial tap on. This is possible, as the reversal tap off does not have to be on the same reader which was used to tap on. For large stations like Central or Strathfield, the fastest way to reach a certain destination is sometimes through the station itself. It’s also useful for when nature calls and toilets are only available in the gated section of the station. Another big advantage (particularly when they continue the bus rollout) is Transfers. Unfortunately policy is this only applies to the same mode (eg. bus-bus). Train to train you can generally do this anyway. One hidden disadvantage is the afternoon “peak” periods on rail. If you buy a paper return ticket at 4pm it is an off-peak ticket. What I want to see is a national reciprocal arrangement. I live in Canberra and have a smart card. Future system enhancements should allow me to be able to catch a train in Sydney, or a tram in Melbourne, at the appropriate fare, charged back to my Canberra ‘myway’ card. Then incorporate it into peoples driving licence, so the one card rules them all! Unfortunately I suspect there are some ‘technical’ issues in doing this – ignoring the fact that Sydney(the biggest system) is still a long way from being completed. Japan – which is the main example of card interoperability all use Sony Felicia cards. Hong Kong/China – think there is a card that can operate between HK and Shenzhen but it uses different cards in different currencies. So while all MiFARE cards and broadly interoperable, I suspect the reader equipment outside of NSW and SA would struggle to read the NSW/SA cards. FYI the Classic 1K cards are the ones that have been cracked. hello i got bus tap on reversal from sydney north rocks shopping centre to my church at north rocks near montana av and i got reversal what should i do ? should i call the opal or tap on and off when i go home ? What happens in the situation where I tap off reverse during off-peak period and then do the actual travel during peak hours within 60mins. e.g. tap on reverse done at 3.50pm. then for actual trip tapped on at the same station at 4.40pm (within 60mins). Does it charge off-peak fare? I haven’t been in this situation personally, so I’m not 100% sure. My guess is that you’d be charged the off-peak rate. 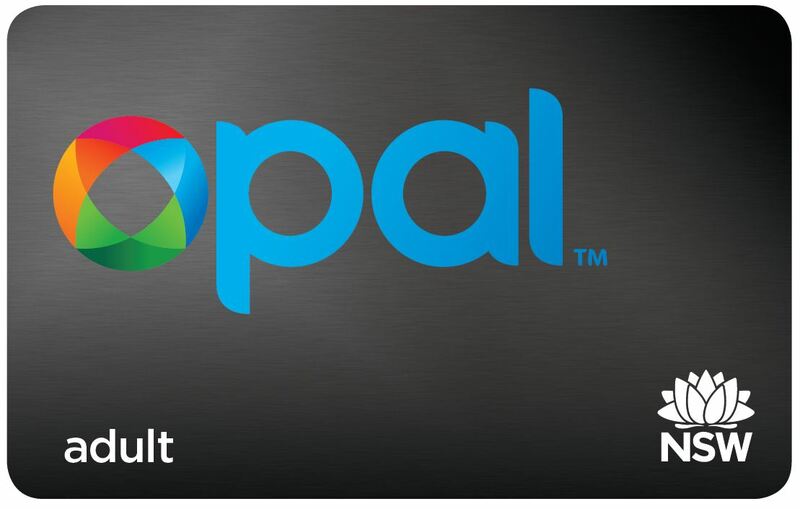 Your best best would be to contact the Opal team via the http://www.opal.com.au website. Or give it a go and see how you get charged.